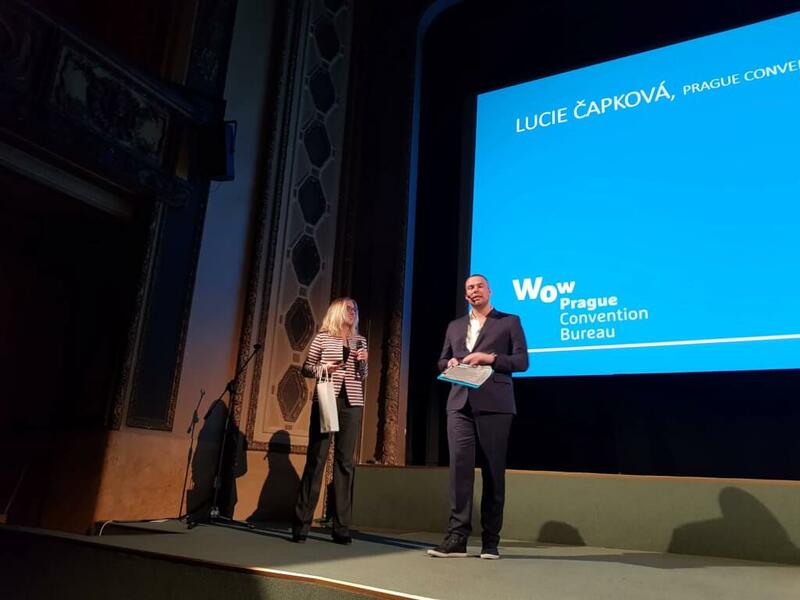 On November 27, 2018, Czech branch office of The Party & Eventarchitect (SITE Crystal Awards winner 2013, 2017), organized 4th annual student conference READY TO KNOW MICE IN PRAGUE held in Lucerna Cinema Hall. The student conference was designed to connect over 300 students from the Netherlands and Czech Republic with Czech MICE industry professionals. Prague Convention Bureau was invited to continue the tradition of presenting Prague as an attractive MICE destination together with the brief overview of the PCB´s activities. For Lucie Čapková, who represented the PCB at the conference, it was already the second presentation at this annual event. The conference program was accompanied by selected venue & hotel site visits. Special thanks to main conference partners: Prague Convention Bureau, Prague Congress Centre, O2 Arena, Hotel Hilton, Hotel Holiday Inn, Socialbakers, Sparta Praha, TIO University Netherlands and Czech University of Economics.